Welcome home to this spacious, bright and light lake view 2 bedroom/2 bathroom condo in very active Huntington Lakes! This condo unit features an updated eat-in kitchen with white cabinetry, stainless steel appliances, and granite countertops. 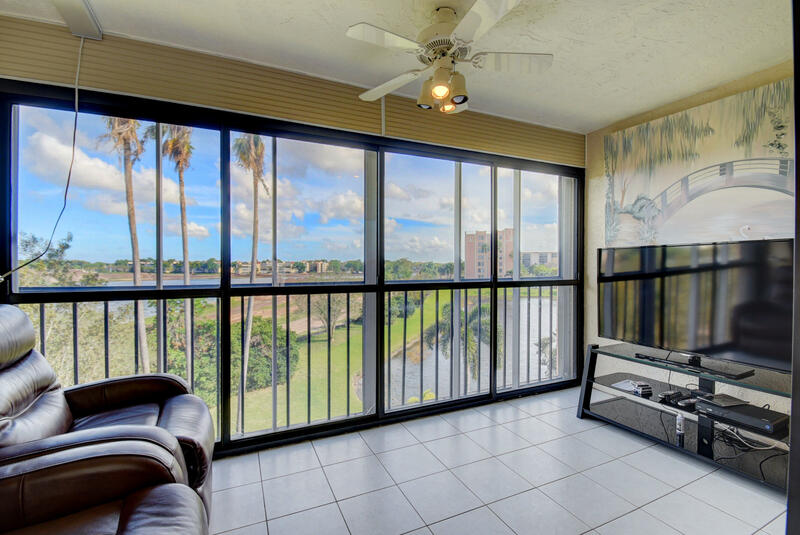 Entertain or just relax and enjoy the awesome lake views from your comfortable enclosed balcony! Washer and dryer are in the unit. HOA dues are $1,415 per quarter. Tax amount is with homestead exemption. Cable TV through Xfinity is subsidized by the HOA (currently $34/month for bundle)The community is like living in a resort with a multi million dollar clubhouse, multiple pools, tennis, theater, fitness center, countless clubs, sauna, hot tub, shows, billiards, library, manned gate, and more! Close to shops and restaurants, 6 miles to the beach.